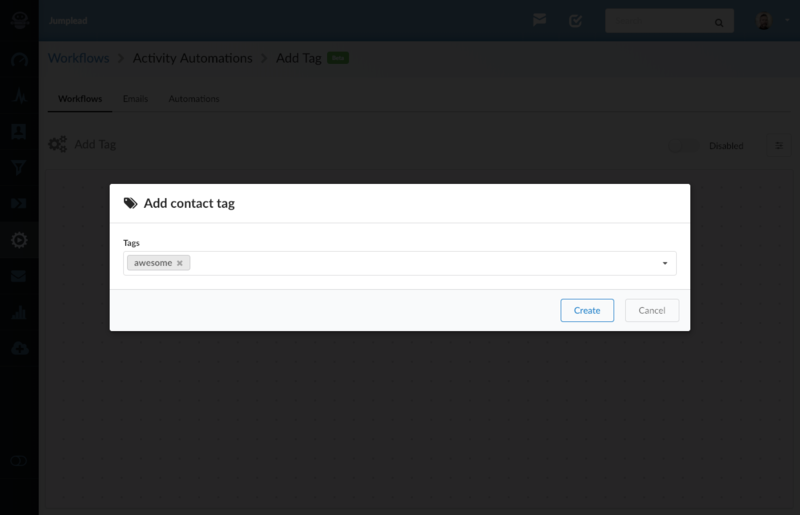 Contact tags can be added and removed by any automation (or manually) and are a great way to segment your contacts into useful lists for use with email broadcast campaigns. We currently recommend adding tags that relate to any important conversion activity to ensure maximum flexibility for follow up email Broadcasts. 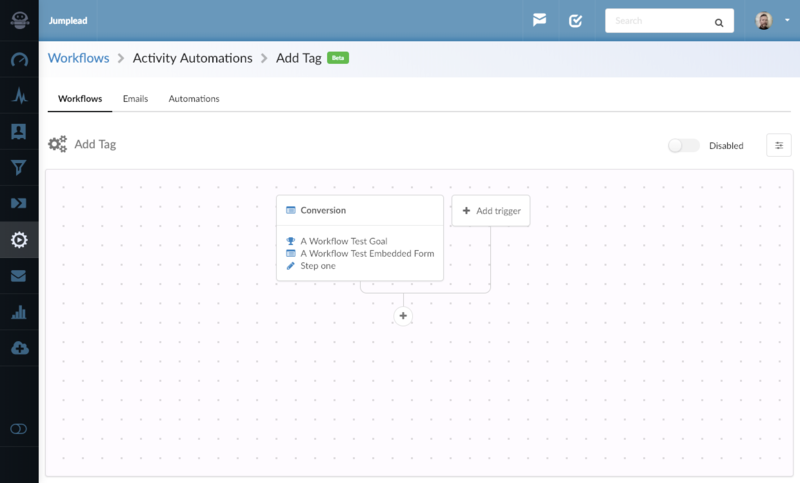 Tags are added as an action, as part of an Automation Workflow. So you can add it to any existing Workflow. 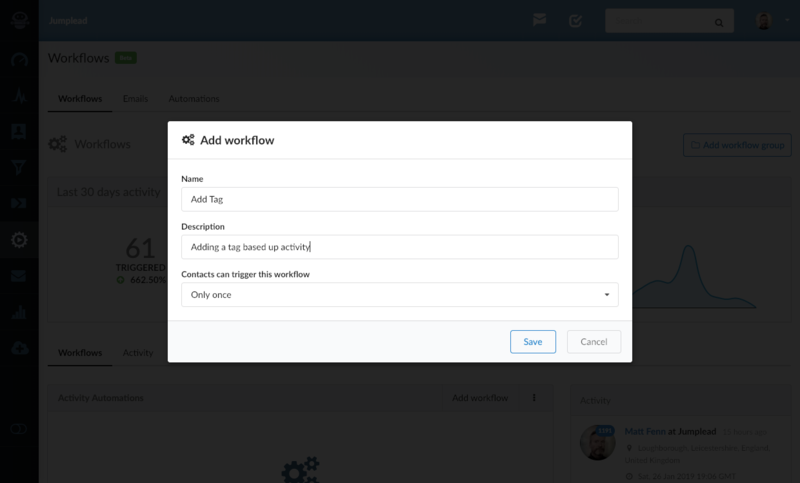 To create a new Workflow to add a tag, create a new Workflow in the Automation section. 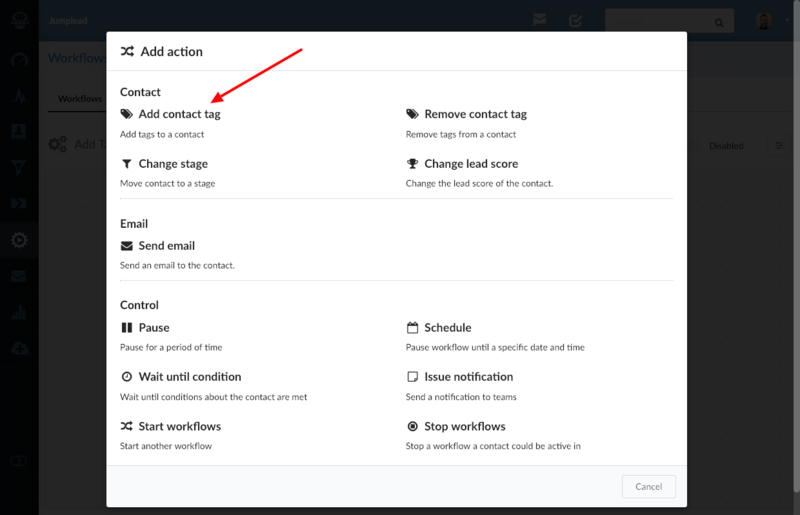 Give your Workflow a name and choose whether you would like to be able to run this Workflow once or multiple times for a contact. Save your new Workflow and you are taken to the visual editor. Where you can add the trigger you would like to use to add the tag. 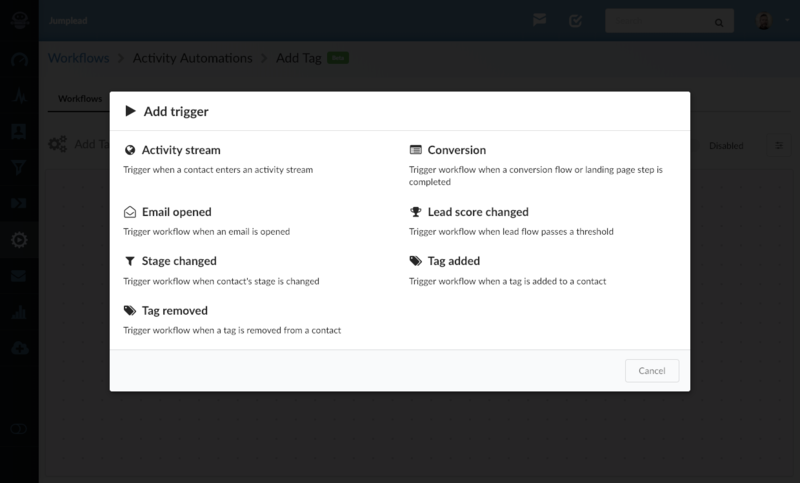 There are a range of ways you can start your Workflow, from website activity via an Activity Stream, a conversion form or landing page, email opens, lead score changes, and even tags! For this example I have chosen a Conversion form. 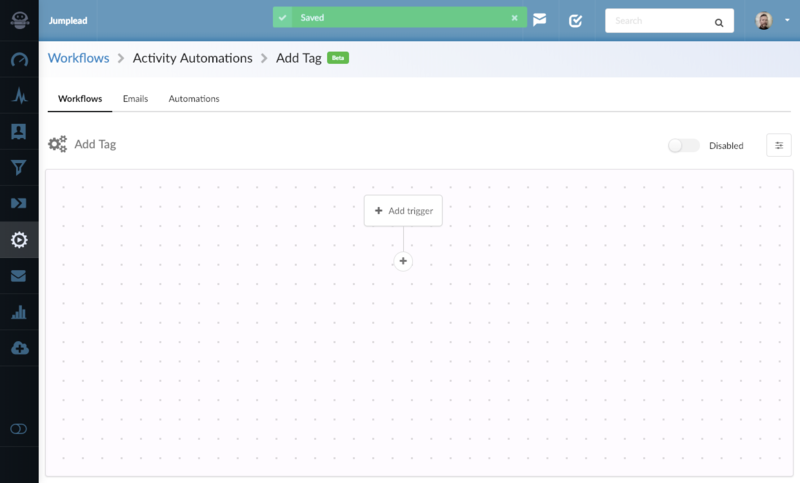 Now you can see you have a trigger for your Workflow in the visual builder. 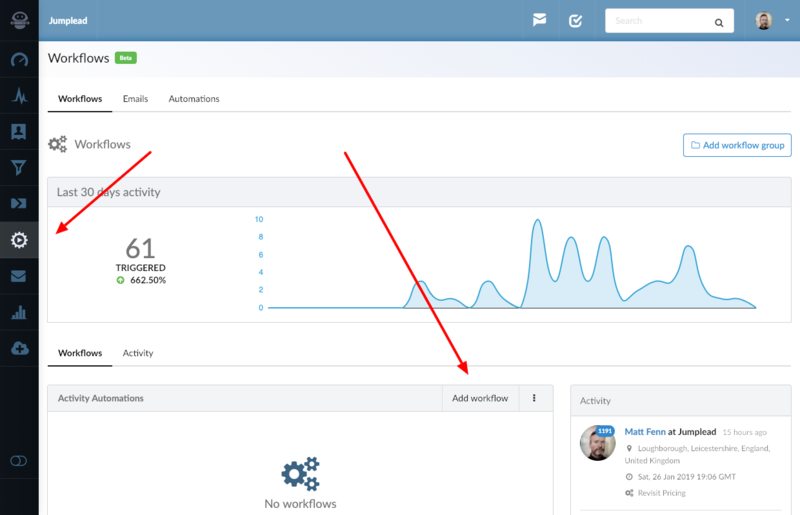 Click on the '+' icon to add your action to the Workflow. Choose the tag you wish to add. Now you can see the Add tag step is in the Workflow. Simply enable your Workflow in the top right of the editor and you are good to go.